In recent years the dairy industry has come under a lot of strain. A combination of health attitudes, competitive alternatives and misinformation has resulted in an unprecedented slump. As the sixth largest dairy in the world Arla has been no stranger to the effects. To address the situation a rethink was required. Help reshape the future of dairy. 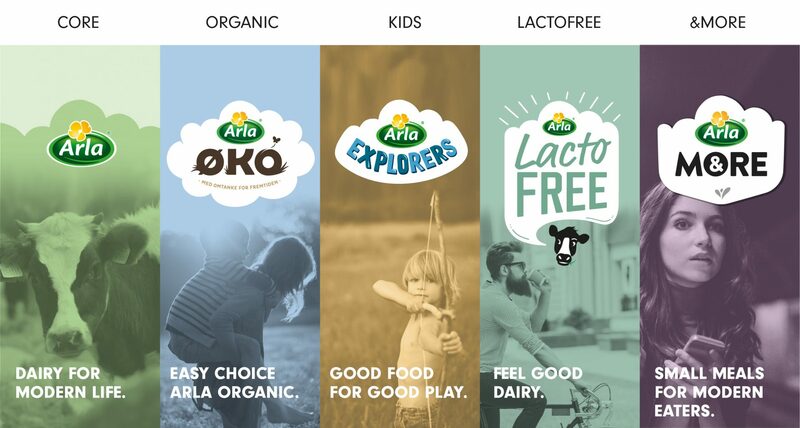 Move Arla from a world of many brands, markets and products to a single platform that is more efficient, more distinctive and more consistent but still flexible. Build one brand capable of flexing across sub-brands. And in the process create a home for all existing products whilst providing a springboard to revitalise dairy and reshape its future. The healthy, filling, natural goodness in Arla dairy builds your physical and psychological resilience. It’s this resilience that enables each and everyone of us to keep trying, keep learning and keep growing. It’s called inner strength and it needs continuous building. A design philosophy born of Scandinavian, built from Scandinavia to deliver design that embodies the true meaning of modern Scandinavia. A place of resilience and grit, a place of honesty and integrity, a place of humanity and warmth. The Arla Skyline. 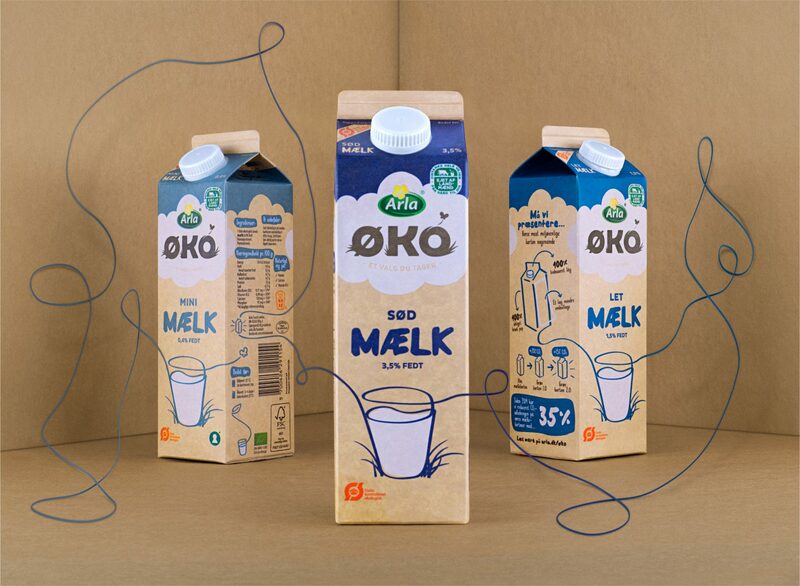 An Arla unique format with the flexibility to form individual clouds that capture the essence of the specific territories they represent. Refocusing the organic conversation. More than just a better choice. An easier way to acknowledge that you care - for you, your family, the world around you and its future. Because sometimes making the right choice isn’t easy, even though you really want to. Nurturing the strength within to make the right choice. It’s very simple really. The better we treat the land, the better grass our cows eat, the better they feel, the better quality their milk is, the better source of tasty nutrition our products are, the better we all eat. This is what we call “The Chain of Good”. It’s dramatized in design by elements that are tied together in an unbroken thread. Sometimes supported by claims, for clarity. Sometimes just letting the visual elements speak for themselves. Organic means caring a little more. 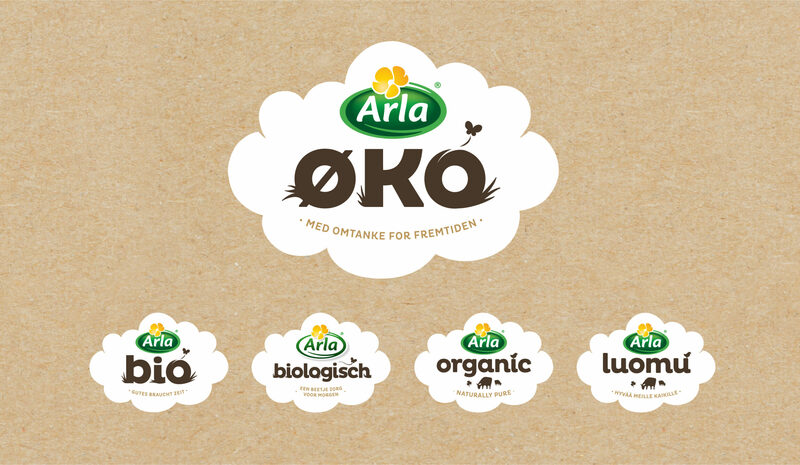 That’s why the Organic territory logo is shaped as a soft and friendly cloud, made as a natural development from the Arla Skyline. We call it The Caring Cloud. The Organic Toolbox is filled with all you need for doing all kinds of creative work within the Arla Organic Territory. Making the idea "Chain of good come" to life.